154 pages | 14 B/W Illus. 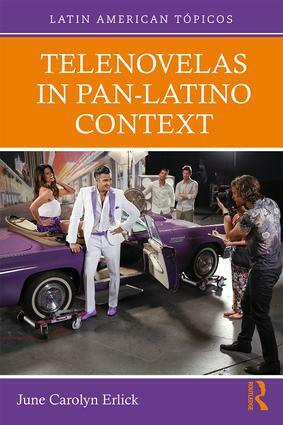 This concise book provides an accessible overview of the history of the telenovela in Latin America within a pan-Latino context, including the way the genre crosses borders between Latin America and the United States. Telenovelas, a distinct variety of soap operas originating in Latin America, take up key issues of race, class, sexual identity and violence, interweaving stories with melodramatic romance and quests for identity. June Carolyn Erlick examines the social implications of telenovela themes in the context of the evolution of television as an integral part of the modernization of Latin American countries. "Erlick is quite persuasive in her contention that the popularity of telenovelas has combined with their mobility to create a quietly subversive force in socially conservative Latin America." - Glenn Garvin, television critic, the Miami Herald, in ReVista, the Harvard Review of Latin America, Winter 2018. June Carolyn Erlick is Publications Director at the David Rockefeller Center for Latin American Studies at Harvard University and Editor-in-Chief of ReVista, the Harvard Review of Latin America.